Earlier in the week, we heard that Nintendo was filing something at Universal Citywalk. We just didn’t know what. Unfortunately, what was taking place was seemingly less exciting than most had imagined. An attendee has confirmed that a Mario Kart 8 Deluxe tournament was taking place. 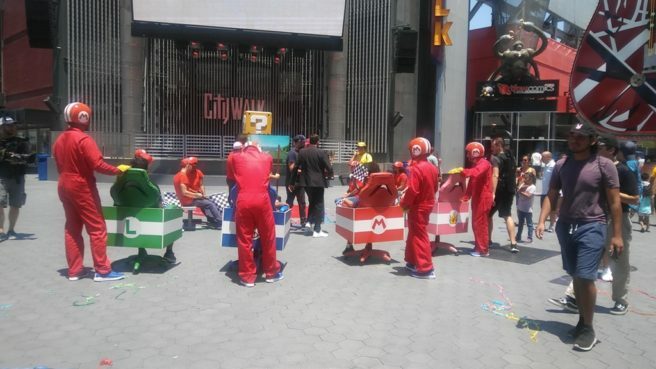 Nintendo may share some footage from the event, but it sounds like there isn’t a whole lot more to it.